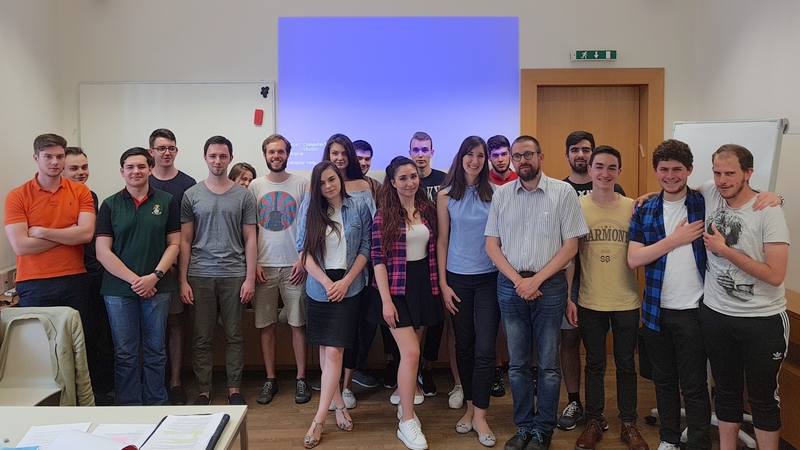 On May 24, 2018 we had the privilege to host external lecturer Ms Larissa Dauchner, who works in the field of brand management in the Hotel Sacher Marketing Department. As part of the Statistics for Economics and Business 2 course led by our Senior Researcher Dr. Christian Reiner, our bachelor students had the opportunity to hear her firsthand experience and learn about use and analysis of quantitative and qualitative data in the development of the Hotel Sacher’s marketing strategy and operations. The Hotel Sacher Vienna is one of the world’s great luxury hotels providing high standard of comfort and superb service to tourists from all around the world. Ms. Daucher offered valuable insights into the use of reports and statistical data to discover trends and changes in the market, as well as target group identification and segmentation. However she also emphasized the value of qualitative data for in-depth analysis of the target audience and the identification of buyer personas. Statistics and competences to use statistical software are scarce and hence very valuable skills in the business world. Being the “go-to” person when it comes to answering questions with the help of statistics has the potential to increase job security and promotion opportunities. Due to the increasing availability of data commonly referred to as “big data”, knowing how to handle and analyze it has become an added-value for job seekers in the past decade. Lauder Business School is always happy to welcome experts from different business fields who would like to share their experience with our students. We strive hard to provide hands-on education of highest quality relevant to the job market of today.